I've worked on a number of hidden picture pieces for Highlights Let's Play Hidden Pictures books over the last two years. They're challenging and fun. This is one of my favorites. 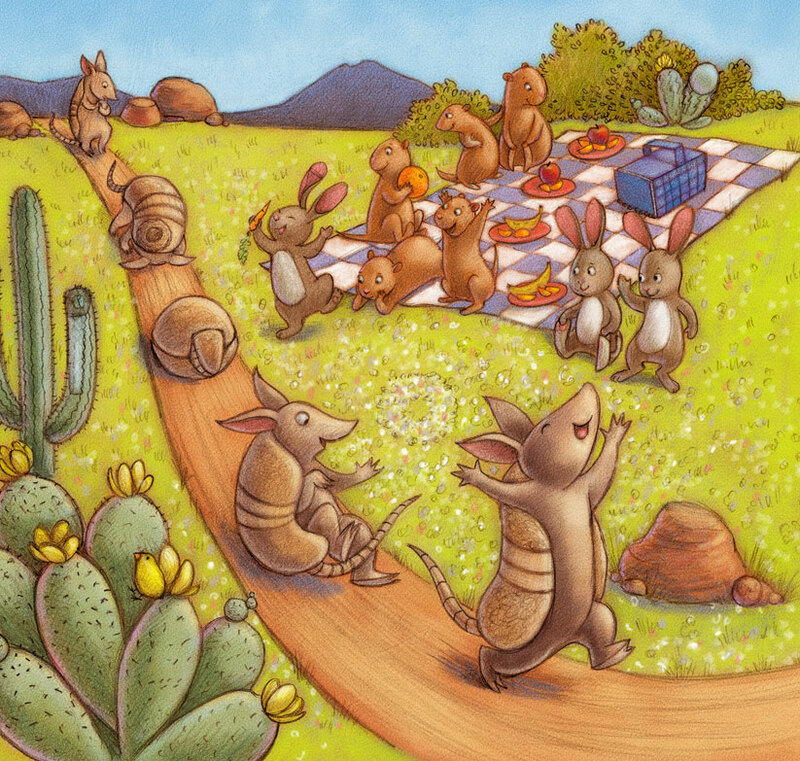 Armadillos are so much fun to draw!